The 2018 Eurovision Song Contest will be held in Israel’s ‘gay capital’ of Tel Aviv. Senior Israeli politicians had called for the contest to be held in Jerusalem, the country’s disputed capital and the epicentre of the Israeli–Palestinian conflict. However, Eurovision bosses announced on Thursday that the contest would instead be held in the nearby city of Tel Aviv. The European Broadcasting Union’s decision came after organisers publicly raised fears that the 24/7 rehearsals and preparations required for the contest may not be possible in Jerusalem due to the strict adherence to Shabbat (day of prayer) among the city’s religious community. 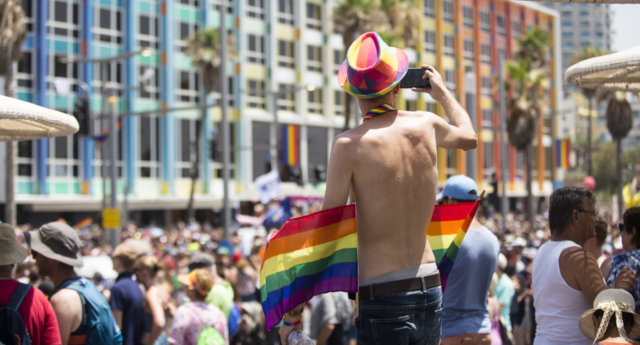 Often referred to as the gay capital of the Middle East, Tel Aviv is home to a thriving LGBT+ community. The city’s annual Pride festival is the largest Pride celebration in the region, and attracts thousands of visitors from across the world. Tel Aviv Mayor Ron Huldai emphasised the city’s gay-friendly credentials to Eurovision organisers, writing: “The city of Tel Aviv will be honored to host the 2019 Eurovision Song Contest. The event will be held at the Tel Aviv Convention Center. The semi-finals will take place on May 14 and 16, 2019, and the Grand Final will take place on Saturday, May 18, 2019. Jon Ola Sand, the EBU’s executive supervisor for the Eurovision Song Contest, said: “We’d like to thank all the Israeli cities who bid to host the 2019 Eurovision Song Contest, and KAN who conducted an expert and thorough assessment to help us make the final decision. Frank-Dieter Freiling, chairman of the Eurovision Song Contest Reference Group, said: “We look forward to working with KAN to bring the Contest to Tel Aviv for the first time. “We are expecting to receive guarantees from the Prime Minister this week in regards to the security and freedom of movement of anyone coming to the event. There have already been calls to boycott the contest due to its presence in Israel, which may have been heightened if a Jerusalem venue was selected as host. The contest earned an unlikely defender in Arlene Foster of Northern Ireland’s Democratic Unionist Party, who is hardly a natural fan of the campy musical contest given her party’s evangelical views.